Contemporary Industrial Style Country Home designed to maximise solar passive and energy efficient design principles. 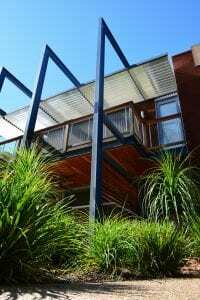 This is an excellent example of smart arid zone house design. 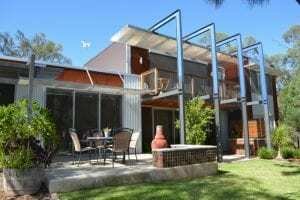 Resting into a bush block on the outskirts of Dubbo NSW, this play on industrial rural home design provides shade, light and shelter for the owner’s whom sought to look beyond the typical suburban construction methodology whilst still providing an effective solar passive design. 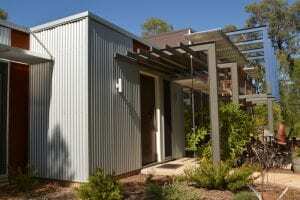 A decidedly simple palette of corrugated iron and corten steel panels mimic the immediate geology and spectrum of bush rock & ironbark trees with the striking rusted steel look.